Home/Posts/General news/Happy Birthday Big Guy! 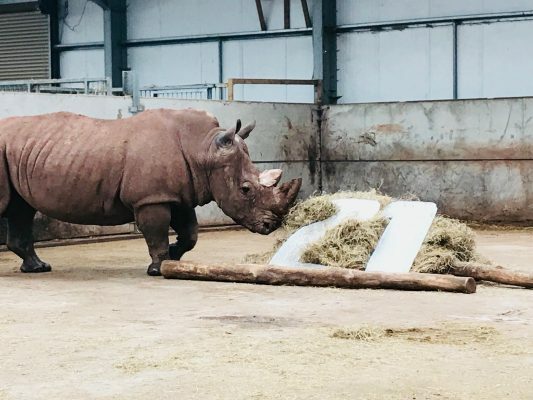 Resident Southern White Rhino Muzungu enjoyed a hay cake, complete with ice topper today in celebration of turning 21 years and even enjoyed being serenaded a rendition of Happy Birthday by the watching group of visitors. The topper didn’t last too long before it got the full Muzungu demolition treatment! 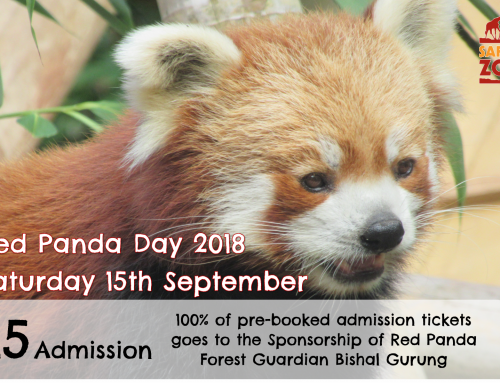 Whilst this demonstrates the positive impact that effective conservation programmes and awareness can have on a species, we cannot become complacent and assume these guys are out of the woods. In 2017 alone, South Africa suffered the devastating loss of 1,028 of these beautiful animals to poaching, and whilst this is slightly less than the 1054 lost to poaching in 2016 – that is still the shocking equivalent of 3 rhino’s brutally killed every day. Between 2007 and 2014, South Africa experienced a 9000% rise in rhino poaching, especially in Kruger National Park, resulting in concentrated financial and resource efforts to secure the park and protect the population. The number of rhino’s poached in South Africa has continuously reduced since 2014 as a result of increased protection. 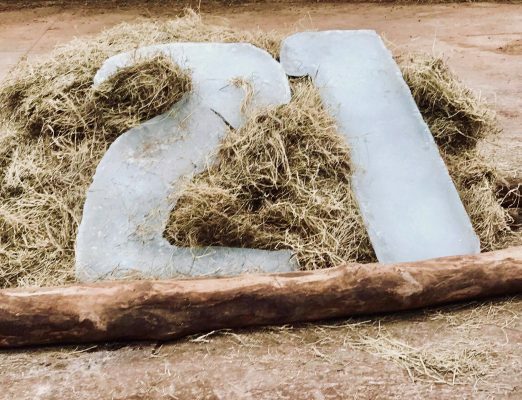 Worryingly, poaching figures in areas outside of Kruger are starting to increase as poaching gangs begin to target areas which are not as heavily protected. 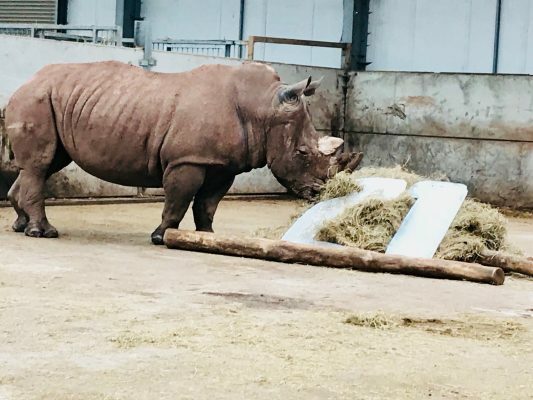 The Southern White Rhino is somewhat of a conservation success story, numbers had fallen as low as 50 to 100 in the early 1900’s, around the time of Muzungu’s birth in the late 1990’s there were in the region of 8,000 wild White Rhinos, and today it is estimated that between 19,666 and 21,085 live free. 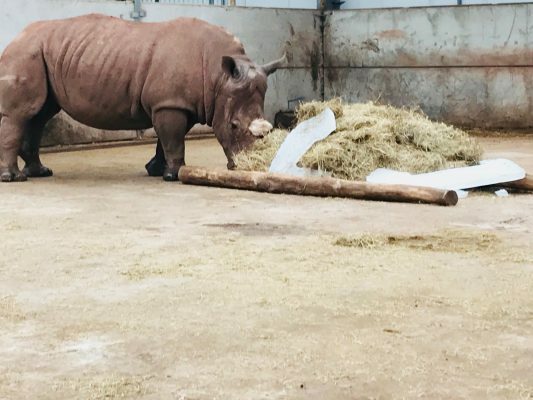 In Safari Zoo’s view, one Rhino lost to poaching is one Rhino too many!